How are you on this glorious Sunday? I have to tell you I’m pretty proud of myself, I have been sticking to my workouts and stuck to what I said, no blogging until I get my workouts in. I got in 4 days this week of my Chalean Extreme Workout and boy do I feel it. I like it because she does each exercise really slow, so you can feel the burn. I actually can feel my arms toning up and I love it!!! This weekend I had my work BBQ which was so much fun! I look forward to it every year! This year we had wonderful Salmon on the grill, corn on the cob and lots of appetizers which I over did, big time! I ate so much that I swear my stomach was going to explode, yet I had to have more. I was totally full, then the chicken kabobs came off the grill and I said no thank you then they served it with homemade peanut sauce. Ummm, PB, ok I’ll have one. I couldn’t stop myself. For dessert I had a wonderful apple pie crumble that my boss’s wife made. It tasted absolutely amazing! I swear she should have her own cooking show or write a cookbook, she is a fabulous cook!! 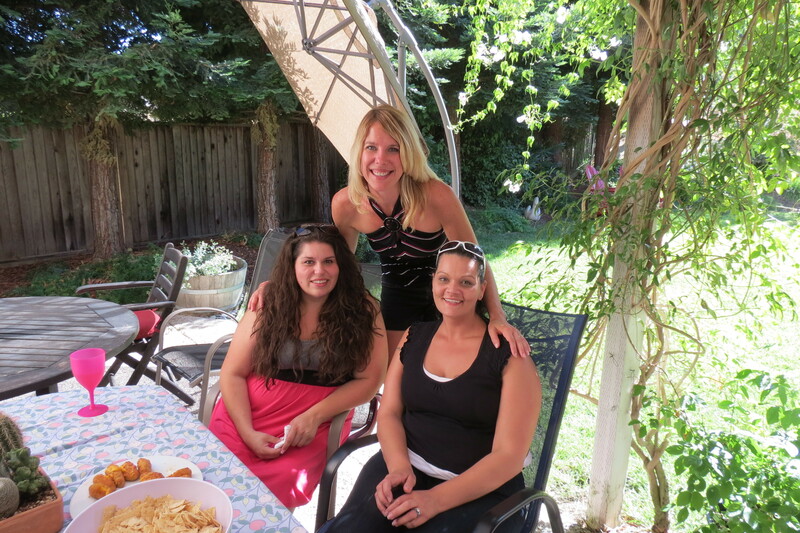 Here’s a few pictures from the BBQ. 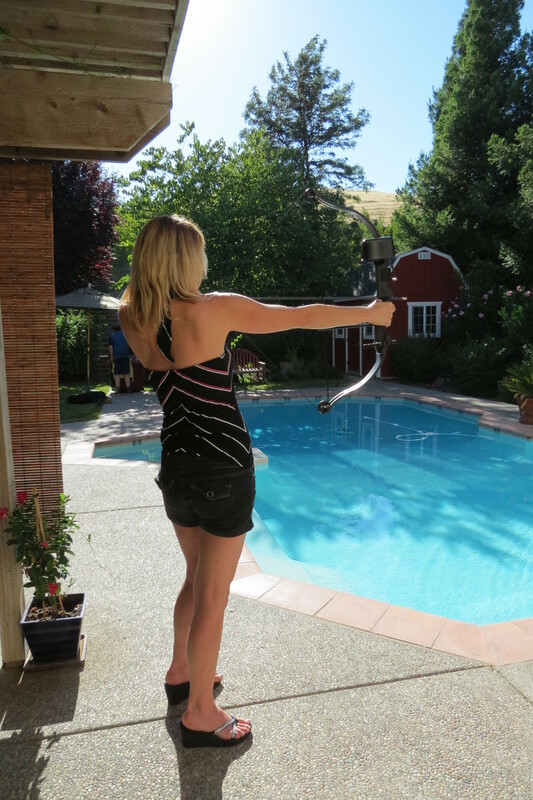 Here’s me shooting a bow. After seeing some of my co-workers shoot, it I’m kind of scared. I better be nicer to them. Adorable Ollie! 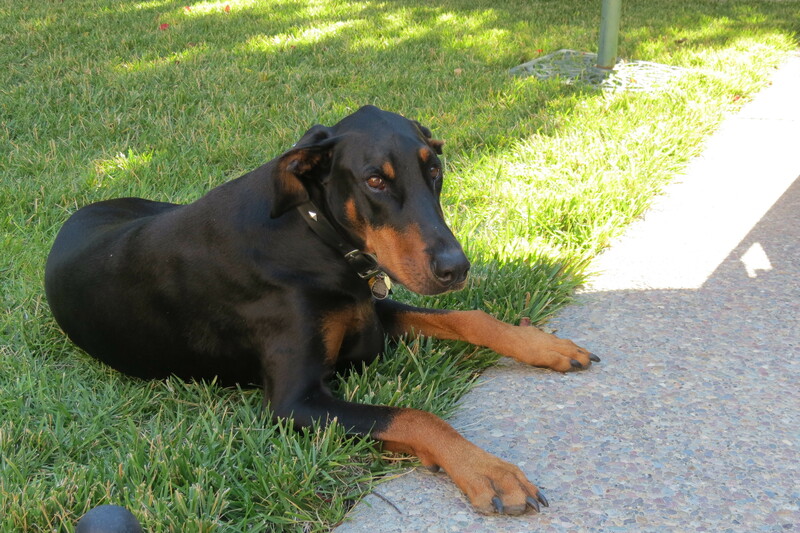 I love this dog, he’s so cute and well-behaved, well except that he went after the Blueberry Crumble Cake! Who can blame him? I’d do the same if I could! I really wish I took a picture of all the food for you to see, but it’s to hard to take a picture when I was constantly filling my mouth with everything!! The party was such a great time. I want to thank my boss and his wife for having this crazy group of people over to there home. Speaking of crazy group of people. I was checking out the pictures from the party and I found a bunch of funny faces on my camera, some were kind of scary looking. It seems some people were having fun with my camera when I wasn’t around. I’d share them with you but I promised I wouldn’t!! I started out Monday with my newest coffee drink, Almond Joy Frappe. This drink is fantastic and I had it about 4 times this week. 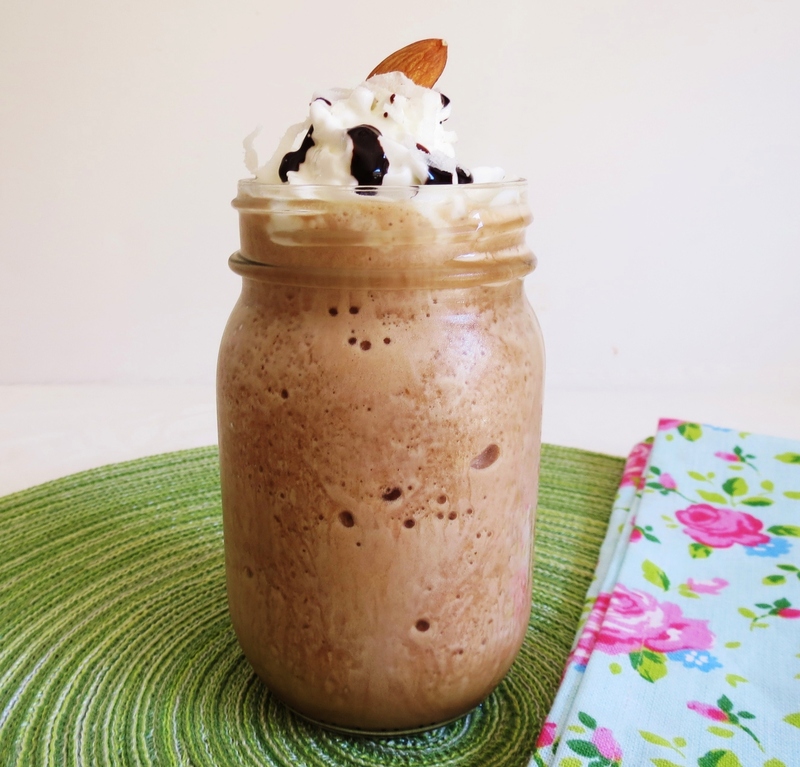 If you’re an Almond Joy fan you’ll love this drink! 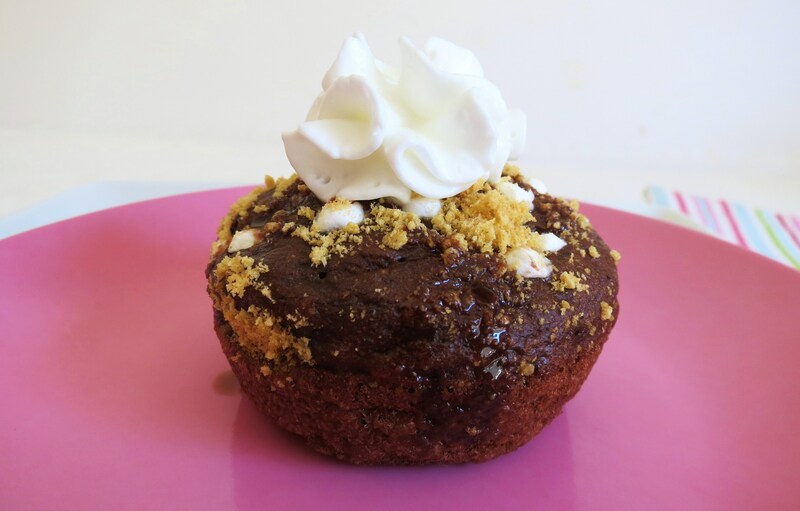 Tuesday – Smore’s Pancake Popover Wannabe’s – These little guys will satisfy any chocolate craving you may have! I love them and I love that there guilt-free! 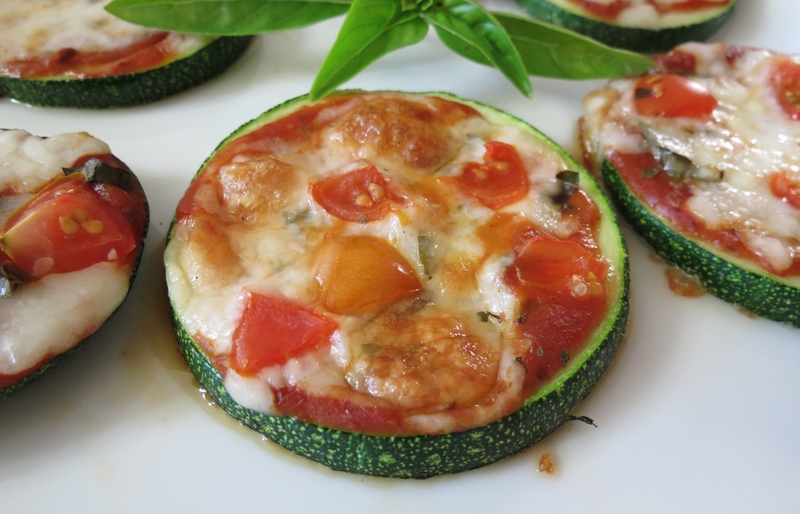 Wednesday – Grilled Zucchini Pizza’s – This was a huge hit for me this week. It seems a lot of people like their pizza! These tasted fantastic, are easy to make and are completely healthy!! My Husband who hates zucchini loved these and I asked him if can I make them again and he said yup!! Yah!! 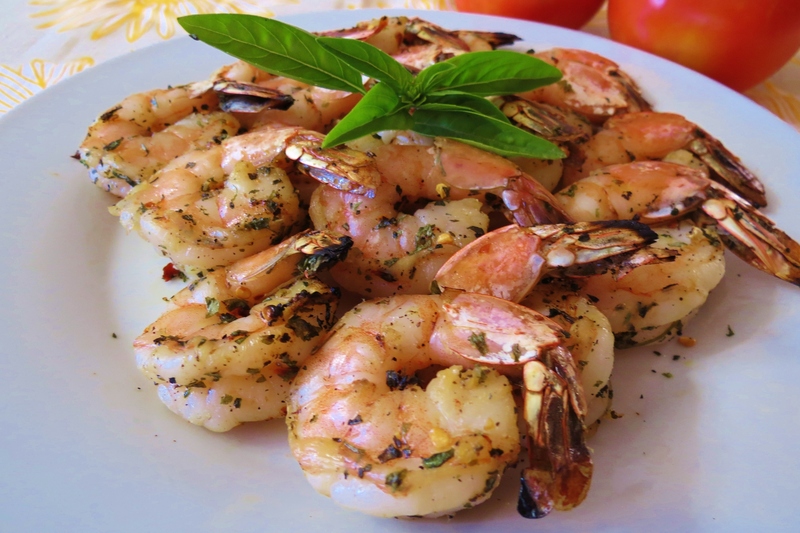 Thursday – Italian Grilled Shrimp Kabob’s – These were nice and quick to make, that paired well with the zucchini pizza. My Husband loved them and he at 3/4’s of a pound of them. 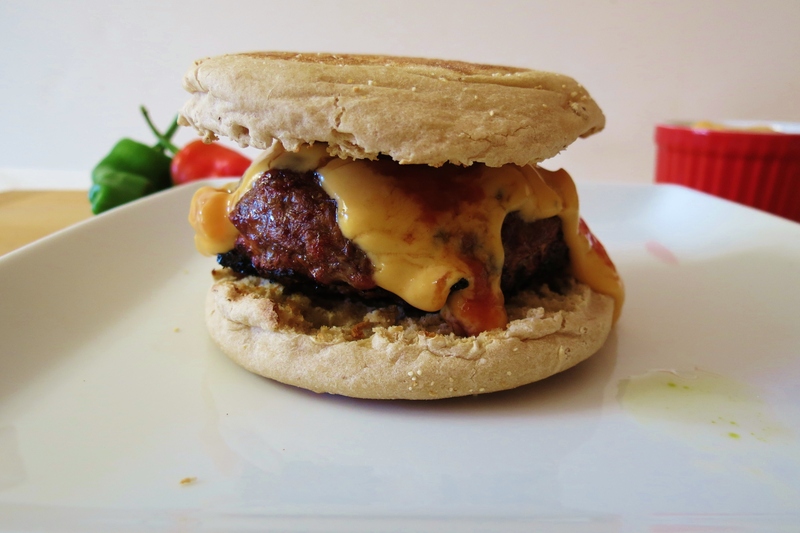 Friday – Taco Burgers – I love these burgers, there easy to make and seem to be a real crowd pleaser. If you like taco’s you’ll be sure to love these burgers. 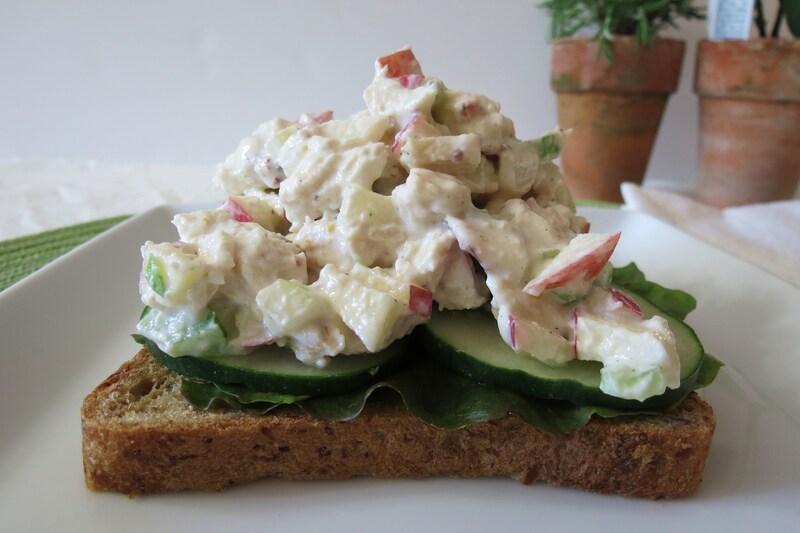 Saturday – California Chicken Sandwich – This is my favorite go to sandwich. It’s healthy, hearty and loaded with lots of flavor. This is great to make with leftover chicken. Not only during the week do I like to create my own recipes but I also like to create some of yours. There are so many talented bloggers out there that make so many wonderful recipes that I feel they deserve recognition too. I honestly wish I had the time to make everyone’s recipes, but I can’t, but I do try. I have so many recipes bookmarked that I want to try. 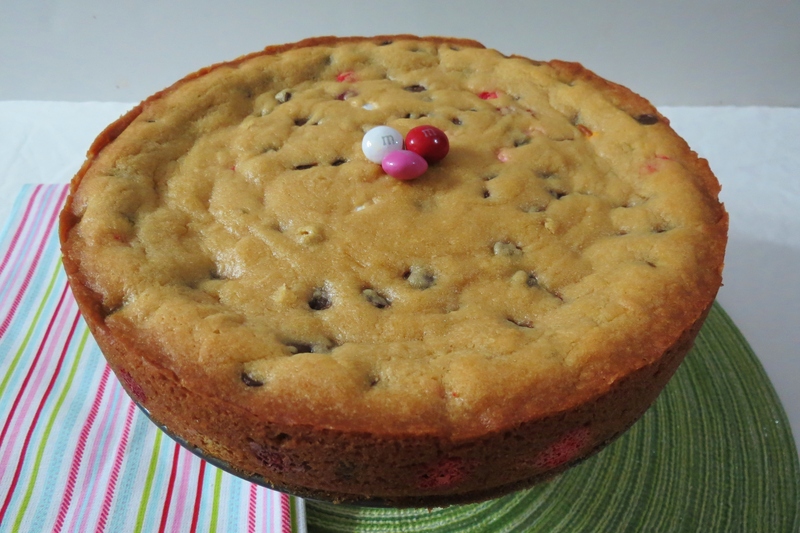 This week Baker Street made a fabulous M&M’s Chocolate Chip Cookie Cake that I just had to make. I saw it and I knew I must make it immediately!! Sure enough, that evening I did and let me tell you holy chocolate chips does it taste good!!!! I made it for my Husband to take to work and everyday he has taken a slice. He loved it and he loved the change-up for this weeks sweet treat! See normally I make him traditional chocolate chip cookies, but this week I thought why not make cake? Cake is always good and it’s always a happy surprise when someone makes it for you. I didn’t change the recipe at all, the only thing I did was use Peanut Butter M&M’s and used a Spring-form Cake Pan because I couldn’t find my round cake pans. Other than that the recipe is the same. If you’re a chocolate chip cookie fan you must make this cake. No it’s not healthy, but it is so good and makes for a tasty treat!! I crumbled some of it up and put it in my frozen yogurt. Baker Street is a wonderful blog full of different kinds of bake goods. Baker Street has step by step how to make bread, every Monday is Muffin Monday, which I love and throughout the week she throws in a surprise recipe, like this cake. I love her blog and I highly recommend you check it out. Speaking of checking out, look at how my cake turned out!! Don’t you just want a slice? Wow, this was a fun week, with my work BBQ, new recipe creations and cake, that I look forward to seeing what next week brings. It’s birthday week, meaning I think everyday this week should be full of fun and surprises!! So celebrate with me, and do something fun everyday!!!! I hope you have a wonderful rest of the weekend!! I can’t get enough of frozen yogurt I just had to share it with you again! I have made this everyday, matter in fact I have one in the freezer right now!! Yum! What a great week! You look fantastic – way to keep up the workouts!! that cake! you outdid yourself – well, on all the recipes! 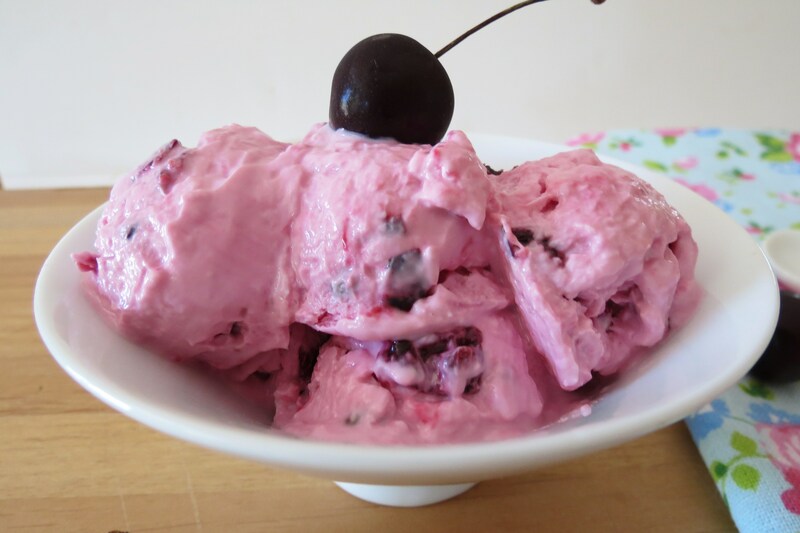 And what a gorgeous color on that fro-yo! wow you are a genius food concoctionist! concoctioner? oh well. But that almond joy frap and cherry froyo look so good! The way you show your food in your pics make everything really enticing~I’m totally pinning them because those two are some of my favorite flavors. What a delicious week, Jenn and I loved seeing the pics of you, you’re so… pretty and trim, it looks like you don’t ever eat anthing bad! Ahhh that is so nice of you to say! Thank you!! Believe me, I eat bad sometimes! But hey what is life without some bad food that tastes good? Anytime! Your cake was a hit with my family and readers!! It’s a must make again cake!